Season Synopsis: In this third season, Kara Danvers (MELISSA BENOIST) grapples with the personal sacrifices she’s had to make while saving National City as Supergirl. She even considers giving up her human identity altogether. Being human and vulnerable is hard. Maybe she’s better off embracing her alien DNA and only being the Girl of Steel. 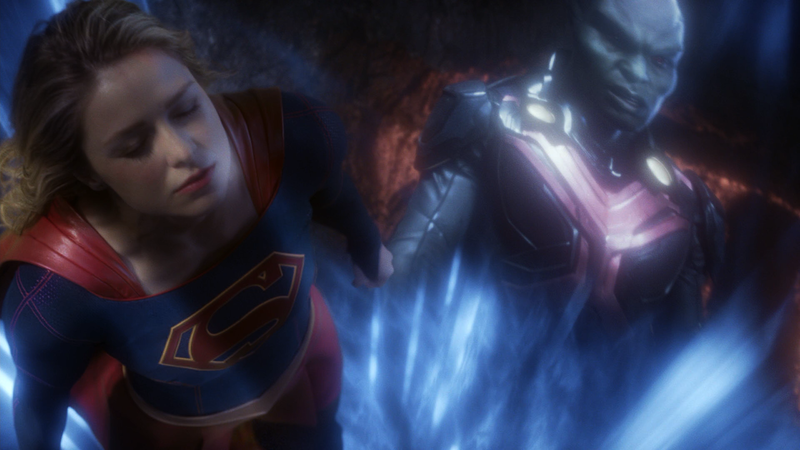 As Kara struggles with her path forward, she continues to work with Hank Henshaw (DAVID HAREWOOD) aka Martian Manhunter J’onn J’onzz and her sister, the formidable field agent, Alex (CHYLER LEIGH), at the Department of Extranormal Operations, where they battle menacing threats to their earthly home. Can the Legion of Super Heroes help quash the chaos caused of new villains Morgan Edge (ADRIAN PASDAR), Reign (ODETTE ANNABLE) and other powerful Worldkillers? Everything Kara’s ever known and everyone she’s ever loved will be tested. Quick Hit Review: Supergirl as a television series going through three seasons has been a mix of quality between the writing and acting. As always, Melissa Benoist is absolutely wonderful as the Girl of Steel and show some heartbreaking exposure for one of the most powerful people in the world as she grapples with sending her love, Mon-El, off to an uncertain fate. And as with shows like Gotham, The Flash and Arrow, there are plenty of Easter eggs for DC fans and we get more this season with some new and fun villains. But, as I said, with the good, there is some cringe-worthy over-the-top acting like Adrian Pasdar’s Morgan Edge (might as well as have a mustache to twirl) and even a series regular like Jeremy Jordan, albeit being more or less the comic relief when needed, tends to overdo it. That said, I did enjoy some of the storylines including the season-ending battle against Selena (portrayed wonderfully by Anjali Jay), who, like Zod in Man of Steel, wants to convert Earth into the New Krypton. Sure, not totally original but an enjoyable inclusion for the season. The season also saw Lena Luthor (KATIE MCGRATH), buys CatCo Worldwide Media from being bought out by the nefarious Morgan Edge, though she would undergo a fierce battle with Edge who attempts to smear her name. This 4-disc release comes housed in an HD Keep Case and side-slides into a matted slip cover. Inside is the redemption code for the Digital HD copy. 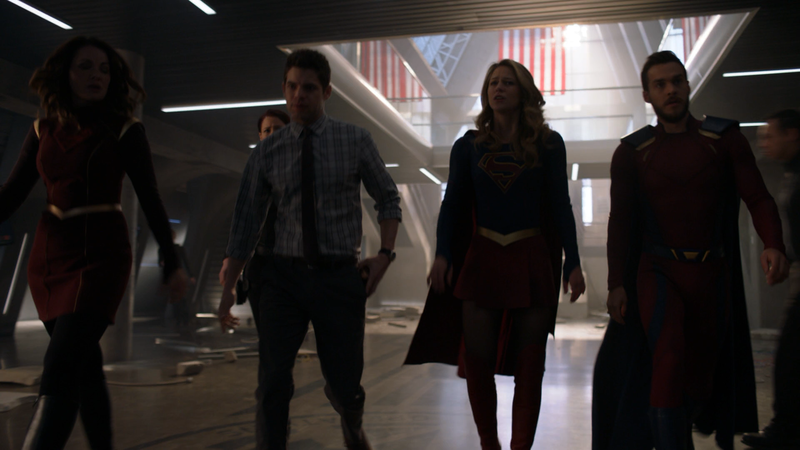 Features are on the limited side with Inside the Crossover: Crisis on Earth-X (41:59; HD), She Will Reign (8:23; HD) and The Best of DC’s TV’s Comic-Con Panels (58:27; HD), the first and last featurettes available on the other CW DC releases (and the latter also on Gotham). There are some Deleted Scenes () on 16 episodes and a Gag Reel (7:23; HD). 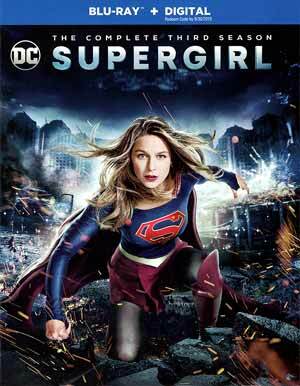 Warner Brothers releases Supergirl onto Blu-ray presented in its originally televised 1.78 widescreen aspect ratio and a 1080p high-definition transfer. For the most part, the picture does look quite good with sharp detail and brilliantly bright colors such as Supergirl’s well balanced suit and black levels are also stark. 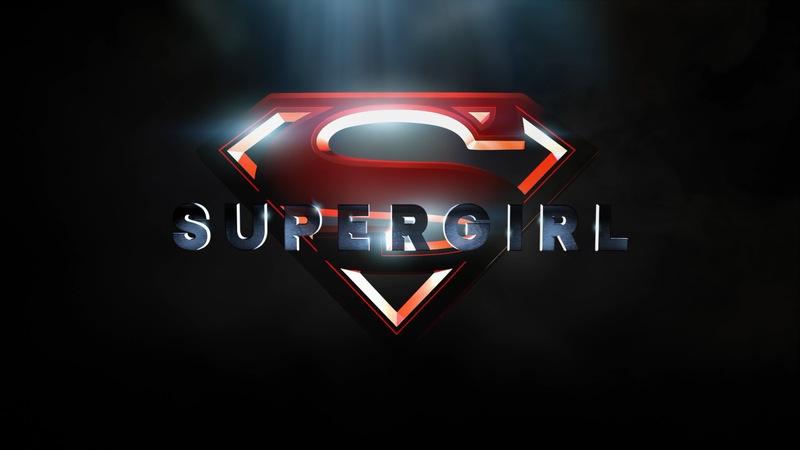 On the downside, there is plenty instances of banding, including the Supergirl opening logo. 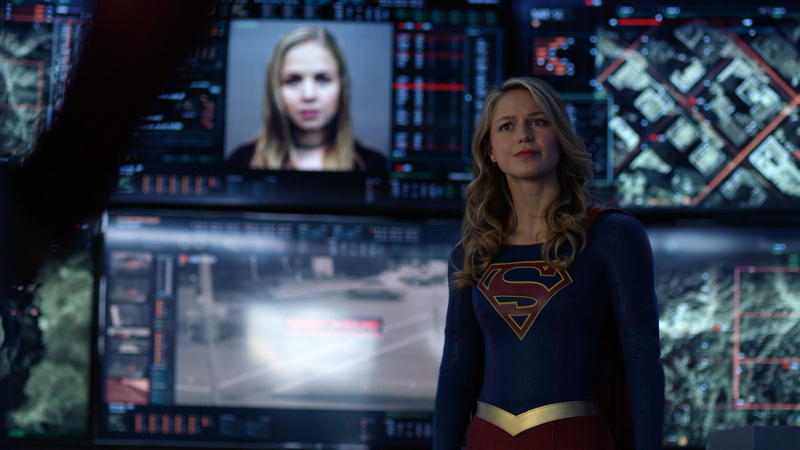 Overall, Supergirl: Season 3 is a solid year for the Girl of Steel and features a fine performance from star Melissa Benoist who absolutely owns the role. The writing, however, still is weak at times though some of the actual storylines were decent and had some cool villains. The Blu-ray release has good video and audio transfers and an okay selection of features.